Complete your OSHA 10 & 30 hour training and save. All Lines Insurance Adjuster Pre-licensing Course. The Texas Adjuster license is valid for persons living in TX, CO, KS, MO, NJ, OH, SD, VA, WI, IL, IA, MD, NE, PA and TN. Once you obtain you Texas Adjuster License, you may apply for a non-resident license via reciprocity in most other states. Get your real estate continuing education credits here. Our business skills library focuses on building the skills necessary for success in current and future work environment. Effective communication is paramount in any organization. This suite focuses on core competencies that drive speaking, listening, communication, and presentation skills. Whether you are orienting new employees or training more experienced staff, the effective communication courses have proved effective in maximizing retention and improving performance in key communication areas. Written communication skills are vital in any organization. This suite focuses on core competencies that drive effective email and writing skills. Whether you are orienting new employees or training more experienced staff, the written communication have proved effective in maximizing retention and improving performance in written communication skills. Effective leadership skills are crucial in any organization. This suite focuses on core competencies that drive effective leadership, management, and hiring skills. The effective leadership skills courses are perfect for new and existing managers. Ethics is about doing the "right" thing. In a business setting, ethics also involves ensuring that company values are shared and upheld by all members of the organization. These course introduce the concept of business ethics and highlights the company code of ethics and/or business conduct which describes company values and standards of conduct for both employees and managers. These courses focus on increasing your personal effectiveness in your workplace. Whether it is participating in team, handling employee conflich and goal-setting, these areas are vital to be effective in the workplace. These courses help you master the basics of selling by tapping into powerful personality skills that you already have along with great customer service. Our comprehensive library of health & safety training courses focuses on Environmental Safety, Occupation Health & Safety, Green Building, Mine Safety, Industrial Hygiene and more! The 10-hour training is designed for entry-level workers to have an awareness of work hazards, appropriate OSHA policies and procedures, and safety and health principles. The 30-hour training is a more comprehensive program. 10 & 30-hour students will receive a DOL course completion card within 4-6 weeks of having successfully completed the course. Provided by 360training.com in partnership with the University of Arizona State University's Fulton School of Engineering, these 10 & 30 hour training certificates provide instruction on OSHA regulations and requirements as they apply to construction and general industry. These courses teach safety awareness, which assists workers in recognizing and reducing the risks of workplace hazards. The HAZWOPER Training programs will teach students how to protect workers when in hazardous situations. Our courses are designed to comply with the extensive federal regulations to ensure the safety and the health of workers. Train with us now and receive your certification. 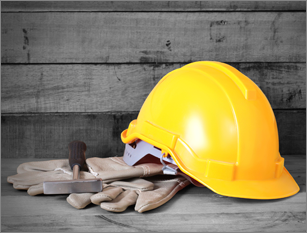 The Construction Safety library for construction workers and contractors uses state-of-the-art technology to deliver training online. The courses satisfy the compliance training needs of students with the advantage of having a flexible study schedule and location. The Industrial Hygiene course teach students how to deal with hazardous substances in order to avoid the negative effects on health. 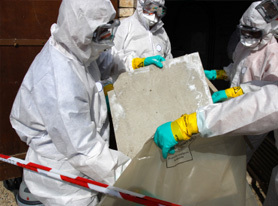 This includes the use of personal protective equipment, cleaning procedures in the event of exposure to hazardous materials, first aid procedures and recording an incident of exposure in the workplace. The online Surface Miner Training is designed in compliance with MSHA Part 46 regulations. Our courses will help miners learn safety and protective measures when doing activities in mines. The MSHA requires all miners and other contractors who work at surface mines regularly to abide by the rules of MSHA Part 46 and take a mine safety training course. As a supervisor of employees performing safety-sensitive tasks such as driving, it is your responsibility to make sure that they can perform their duties without endangering themselves, their fellow employees, and the public. This library is geared for supervisors of employees performing safety sensitive tasks such as driving. Looking to start a career in the insurance industry? In order to get your Insurance Pre-license certification, each state requires that you take an insurance license training course before you may become certified. Our Insurance Continuing Education program offer state-accredited online courses and following the exam, you will be able to apply to renew your Insurance License in the state you work in. If you work in food service for restaurants, bars or hotels, we have accredited courses approved in your state! Our Food Protection Manager Certification is approved by the American National Standards Institute and the Conference for Food Protection (ANSI-CFP). The Food Safety Manager Certification course will give you the proper food safety training to help you prepare for the nationally accredited certification exam of the ANSI-CFP (American National Standard Institute - Conference for Food Protection). Our food safety training courses are 100% online so you can take it anywhere with just a computer and Internet access. 360training.com's Learn2Serve is an ANSI-CFP Accredited Examination Provider. Our courses are offered 100% online so you can obtain your food handler permit in a simple, cost-effective and hassle-free way. This will prepare you to pass an ANSI-CFP nationally accredited certification exam for food handlers. Take your Alcohol Server Certification online! Our training courses are delivered 100% online so you can get a simple and hassle-free certification. Training includes interactive and engaging material that are recognized by major employers and trusted by over 500,000 alcohol servers in the industry. Our comprehensive online course catalog includes training for first-time individuals studying to be a power plant operator as well as those professionals seeking additional training, whether required or to learn a new skill, in the fields of: Power Distribution, Power Generation and Power Transmission in addition to NERC Continuing Education. This program takes you through the different NERC standards and explains what each standard is all about. With full-access to the actual text version of the NERC standards, you will be able to review each standard before taking the exam at the end of the course. Certificates (NERC-approved) are available to all those who finish this course. The Blackout 2003 training includes lessons on emergency preparedness and how to act on emergency situations such as blackouts. Certificates (NERC-approved) will be given to those who finish the course. This training teaches students the proper system control or how to maintain the orderly flow of power from the source to the load, while maintaining the utmost level safety, reliability and stability throughout the system. It discusses the requirements and procedures of system control in accordance with the NERC standards. Certificates (NERC-approved) will be given to students who finish the course. The Distribution System Training program covers various aspects of distribution technology. The comprehensive training includes lessons on distribution networks and equipment, testing and maintaining equipment and the roles of a distribution operator. Students must have basic knowledge of electrical theory as courses are presented on a technician level. Certificates (NERC-approved) will be given to students who finish the course. The Electrical Fundamentals training at provides a deeper understanding of electrical fundamentals including topics on Ohm's Law, AC circuits, transformers and three phase systems. Students who finish the course will receive a certificate (NERC-approved). The Emergency Table Top Drill is a simulation of the actual processes to be done during emergency situations. It includes 13 different scenarios that students can practice on. Before each table top drill, students are given the time to read the information before doing the simulation. Their time will be logged to compare with basic time expectations during real time events. Students who finish the course will receive a certificate (NERC-approved). The Grid Dynamics Series teaches the necessary skills and knowledge on plant operations that will benefit the following: balancing area operators and personnel, power systems repair and maintenance personnel, dispatch personnel, reliability coordinators, transmission operators. Certificates (NERC-approved) will be given to students who finish the course. The NERC Compliance training provides an introduction and overview of key NERC standards and their importance. Certificates (NERC-approved)will be given to student who finish the course. The Power Plant Control Room Operator Training provides operators with the necessary knowledge and skills to operate a power plant distribution control system. Lessons include intro to the plant system, associated system controls and standard procedures used during start up, normal and shutdown operations. Students who finish the course will receive a certificate (NERC-approved). The System Personnel Training helps make sure that employees who do specific tasks are competent and aware of the standards and requirements of NERC. Certificates (NERC-approved)will be given to students who finish the course. The Systems Operation Review provides a comprehensive general review for those preparing to take the NERC certification exam. It can also be considered a CE training credit. This program includes lessons on systems operations and other necessary knowledge to pass the NERC certification exam. The Transmission System Operation program at 360training.com teaches the necessary knowledge to operate and maintain power systems, in accordance with new ISO and power pools. This course also includes standard practice material to provide the base knowledge for more advanced techniques. Certificates (NERC-approved) will be given at the end of the course. The Condition Monitoring training includes lessons on proper plant maintenance. It teaches techniques on how to monitor plant equipment, including measuring rate of deterioration, analysis and interpretation of such information, and the implementation of predictive maintenance. This program is designed for personnel involved in plant maintenance, which includes operators, technicians, craftsmen and management. This training series gives an overview of Gas Turbine Power Generation with particular focus the processes and equipment involved to generate power. It discusses the following topics in detail: construction and design features of turbines; support system and auxiliaries; operation, maintenance and protection of systems; combined cycle generation; and heat recovery steam generation. The Electrical Fundamentals training series gives an introduction to the theory of electricity and the basic concepts of Ohms Law. It also discusses the fundamental characteristics of AC circuits and explores the concept of power and the factors affecting it. The Heat Rate Optimization training series gives an overview of the basic power plant cycle and the energy conversions involved throughout the cycle. It highlights the basic factors affecting boiler efficiency and provides case studies of plant problems with the corresponding corrective actions taken. This training series is designed for hydroelectric power plant operators and technicians to have a better understanding of hydroelectric power generation. Courses in this series discuss the following topics: role in power systems, typical components, functions in the use and control of water, structural and functional features of hydroturbines, types of equipment used for monitoring and controlling operation, features and function of auxiliary systems and general responsibilities and tasks. The Electrical Fundamentals training series under the Transmission library gives an introduction to the theory of electricity and the basic concepts of Ohms Law. It discusses the fundamental characteristics of AC circuits and explores the concept of power and the factors affecting it. The Transmission library includes the Transmission System Operations training series, which benefits transmission system operators and operator trainees. The courses provide in-depth reviews of the fundamentals and advanced concepts of day-to-day and emergency operations of transmission assets. It also takes up monitoring and control processes, according to NERC standards. The Transmission library includes Controlling to NERC Standards series, which gives an overview of proper system control that adheres to NERC standards. Courses are designed by experts and focus on the operating standards for generation control and performance, system operations and power system transactions and coordination. The Grid Dynamics training series offers a comprehensive review of the critical tasks under systems operations which include controlling, monitoring, measuring system control performance, readiness for emergency operations and emergency training. This training series benefits both entry-level and experienced system operators. The Electrical Fundamentals training series gives an introduction to the theory of electricity and the basic concepts of Ohms Law. It discusses the fundamental characteristics of AC circuits and explores the concept of power and the factors affecting it. This training series gives an overview of electrical systems protection with particular focus on generators , transformers, bus , motor operation, line, pilot and telecommunications. The courses discuss the function and philosophy of system protection; operation; faults; system stability /nmaintenance; investigation and analysis; testing and commissioning; static relaying; static analysis; the coordination of devices and operations. Get your real estate license now! Complete your pre-licensing courses with a leading real estate license school, online since 1997. Our real estate courses are ARELLO-approved and meet the state requirements to obtain a real estate license in various states. Pass the real estate license exam for brokers and salespersons on your first try! We offer real estate exam preparation courses for brokers and salespersons in various states. Our courses are ARELLO-certified and will teach you everything you need to know to pass the state real estate license exam. Start preparing to get your real estate license today! If you are a Salesperson in Texas, complete your Annual Education requirements at 360training.com. Our courses meet the education requirements of your state so you can complete the required number of hours in an easy and hassle-free way. You can study at your own pace wherever you are comfortable as long as you have a computer and Internet access. Satisfy your real estate continuing education requirements with our online real estate continuing education courses to renew your real estate license. Does your state require post-licensing education to keep your real estate license? Our courses are 100% online so you can satisfy your state requirements anytime, anywhere with just a computer and Internet. Online Institute of America has a comprehensive catalog of online and home study courses for various industries. Find 24-hour support for any online courses here. Troubleshoot issues, recover passwords, chat with customer service and more.